If we check the new central unit the form factor seems to be similar to the old one so there won’t be any problem integrating into some older sets based on that. One interesting thing we can see (actually we cannot see) is the placement and type of the connectors – there’re no visible connection points on the top. This means they’re probably on the other shorter end of the unit which is something new and it means a change in the connection type and the overall form factor (you’ll need more space at that end of the unit for the connectors). We can also see the new controller that was visible before on the front of the box – the circular part around the buttons can be rotated, we need more details to see how that works exactly. One interesting warning visible below that – “The Bluetooth technology is not compatible with older train products”. This confirms the technology used for the Powered Up platform and it is some sad news for the folks who were still expecting Bluetooth and IR support in the controller. There’s also a sneak peek of the train controller app. Besides the controls themselves it seems to provide feedback about the speed of the train and various other things, can’t wait to have a closer look! 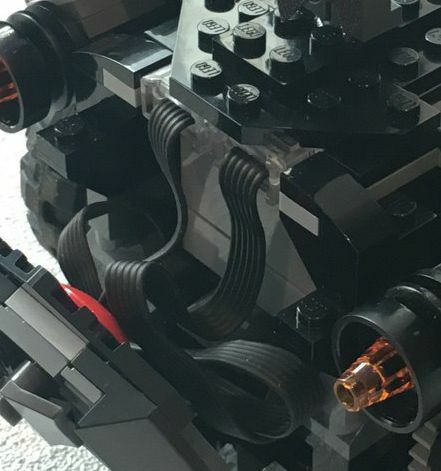 Update – based on the image in this article found at The Brother’s Brick, the connectors are similar to the ones of the Boost system. There are two ports visible on the Batmobile, I wonder if the trains’ unit will have a similar amount and if any port replication will be available. 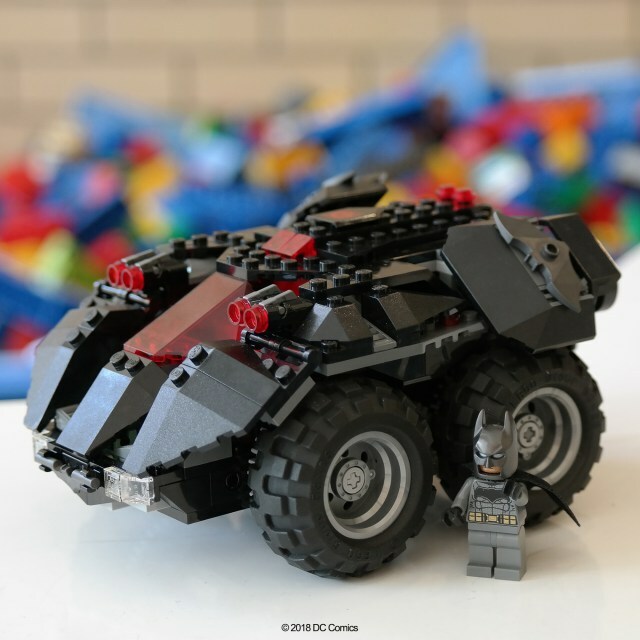 We received some information about the new Powered Up platform itself in the press release published by The Brother’s Brick about the new app-controlled Batmobile. You can read the full press release below with the most interesting parts in bold. 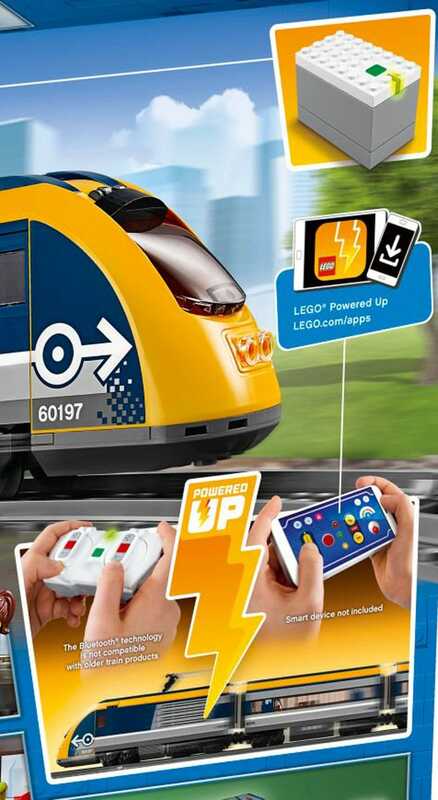 Based on this I expect the new Powered Up platform to work across various devices and at multiple levels – simple physical/app control, light coding and control via Boost programming. It will be exciting to see if this new platform will be expanded to the Technic theme as well and how the integration will work. 60197, Lego, Powered Up, Train. Bookmark.